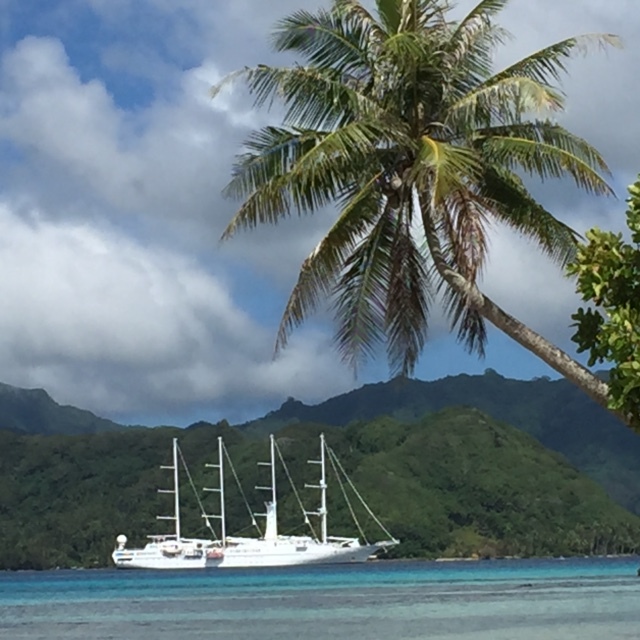 Recently, I had the opportunity to experience a Windstar Cruise in Tahiti. It has been a dream of mine to go here for many years, and it was absolutely amazing. 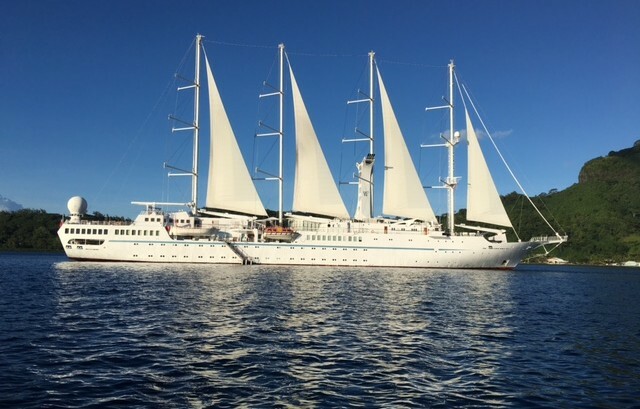 The Windspirit is a motorized sailing vessel that holds 148 passengers. The sailing we were on, actually only had 91 passengers, and there were 99 crew, so you can imagine the type of service we received. I found the cabins to be very spacious, with lots of storage areas. I think this was one of the best ways to experience the islands of Tahiti. 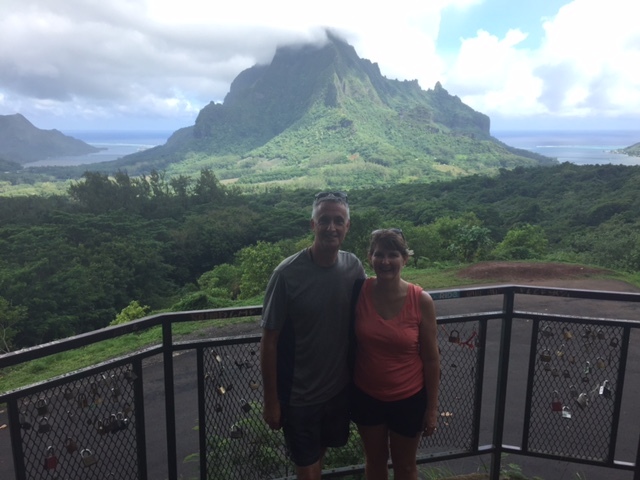 We had stops at 5 different islands, which included overnight stays in Raiatea and Bora Bora. On board, all our meals were included as well as all non-alcoholic beverages. They also included a special discovery event in Bora Bora and a beach barbecue on a private Motu. The Windspirit also has a sports deck which is generally open in port days (weather permitting). They offer paddleboards, kayaks, waterskiing and wakeboarding, as well as floating mats. 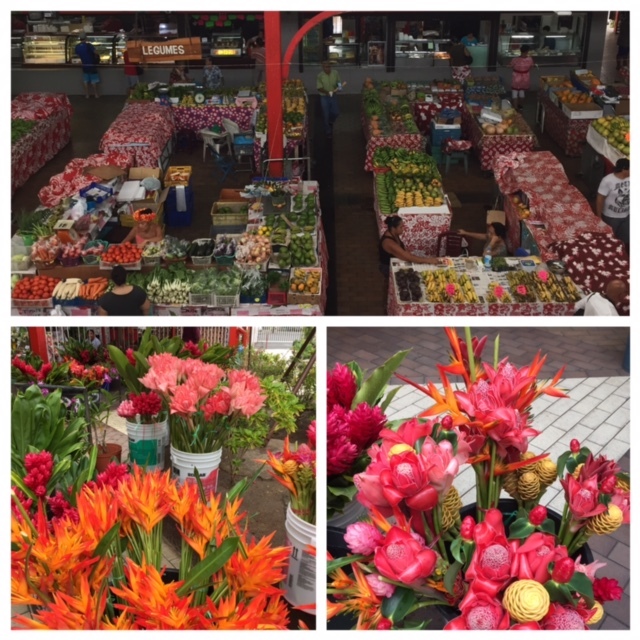 Papeete – This was the starting point of our cruise around Tahiti. You must make a visit to the local market. I think this was the best place to buy some of your souvenirs. Popular items to buy include Tahitian vanilla, which is known as some of the best in the world, pareos, monoi oil and local handicrafts. Black pearls are also one of the most popular things to buy and it is definitely worth doing some homework before buying. Moorea– This Island is only 11 miles from the main island of Tahiti. It can be easily accessed by a 30 minute ferry ride. It is known as one of the most beautiful of the Polynesian islands. 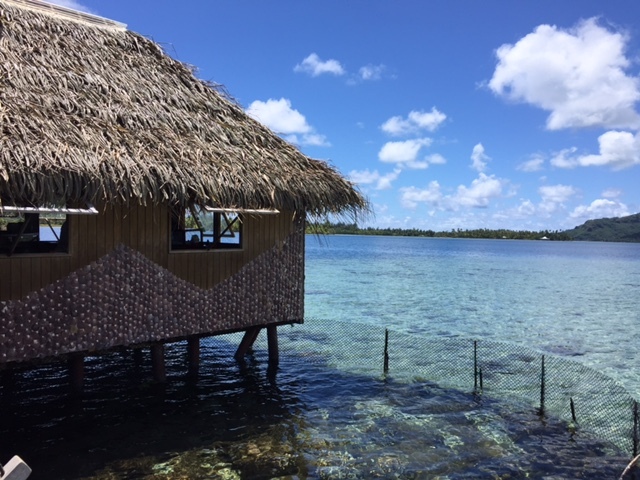 Some of the popular tours are the Moorea stingray encounter, Island tour with a view at Belvedere lookout, dolphin encounter and of course snorkeling and scuba diving. 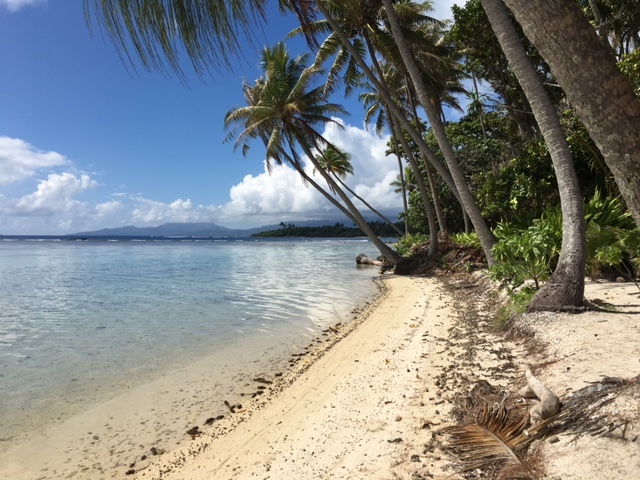 Taha’a – The only opportunity to get to the island of Taha’a is if you take one of the tours offered with Windstar, as this was also the day that they do a beach day at a private Motu. The island of Taha’a is known as the vanilla island, and is also known for drift snorkeling. We did not take the tour to Taha’a, but the day on the Motu was fantastic. 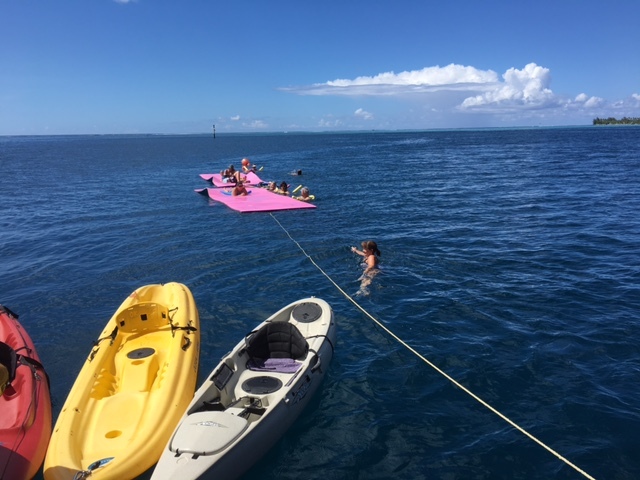 They had all the watersport equipment available, like kayaks, and paddleboards and we all had snorkel equipment to use for the full duration of the cruise. A barbecue buffet lunch was prepared for us on the island. Raiatea – This was the only port stop we were able to dock at, which was convenient for getting on and off the ship. This is the second largest island in the Society Island group. This island is considered to be a sacred island. There are not really many beaches on the Main island itself, but there are good beaches found on the Motus inside the lagoons. 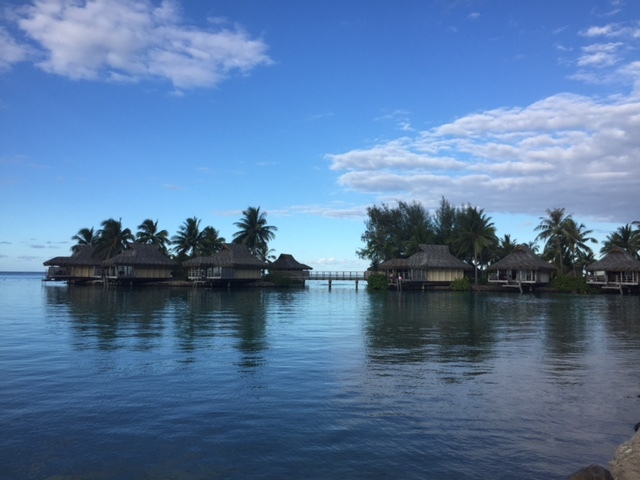 Raiatea also had one of the only navigable rivers in French Polynesia. Popular activities include kayaking on the river, visiting some of the sacred sights, scuba diving and beach days on the Motus. Bora Bora – This Island has absolutely stunning water in the lagoons. It is considered the most romantic island, with its high end resorts and overwater bungalows. We had an overnight stop here so we did a circle island tour by boat, and then an island tour by road. 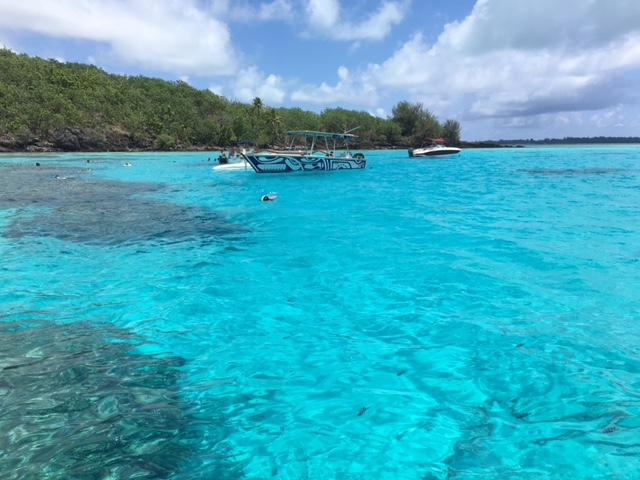 On our boat tour they stopped at a place to snorkel with the sting rays and reef sharks. One other way to see Bora Bora is by helicopter. We also had a cultural island night on a private motu. 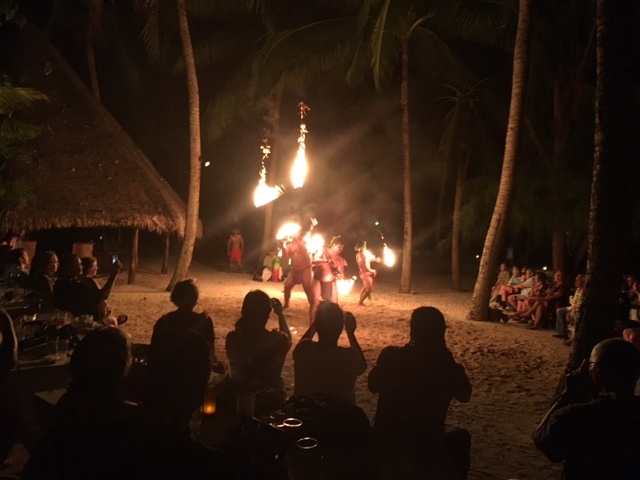 Windstar provided a fabulous island feast and we were entertained by Tahitian dancers and fire dancers. Huahine– This Island is known as the Garden of Eden. You will find beautiful lush forests, and a quiet slow pace on this island. 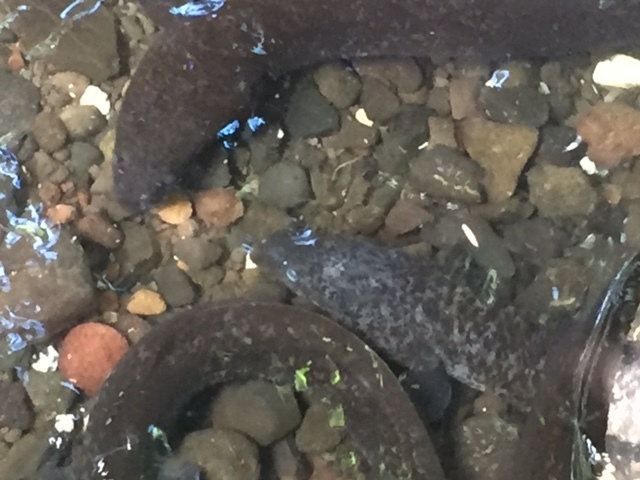 We took an island tour, which included a visit to a pearl farm, scenic viewpoints, and a stop to feed the blue eyed eels. All in all it was a fantastic, relaxing holiday and one that is tops in my books!